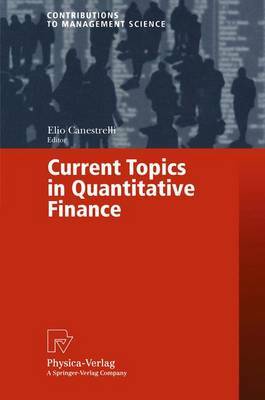 The present volume collects a selection of revised papers which were presented at the 21st Euro Working Group on Financial Modelling Meeting, held in Venice (Italy), on October 29-31, 1997. The Working Group was founded in September 1986 in Lisbon with the objective of providing an international forum for the exchange of information and experience; encouraging research and interaction be- tween financial economic theory and practice of financial decision mak- ing, as well as circulating information among universities and financial institutions throughout Europe. The attendance to the Meeting was large and highly qualified. More than 80 participants, coming from 20 different Countries debated on 5 invited lectures and 40 communications in regular sessions. The sessions were located at the Island of San Servolo, on the Venetian lagoon, just in front of the Doges Palace. San Servolo Island is a natural oasis, in the midst of a unique urban setting, offering great relaxation in a peaceful park and a panoramic view of Venice. The friendly atmosphere added great benefit to the formal and informal discussions among the participants, -which is typical of E.W.G.F.M. Meetings. It is interesting to consider the story of the Meeting. The previous locations were held at Cyprus, Crete and Dubrovnik - former mile- stones of the Venitian Republic influence on the Mediterranean Sea. Therefore, that this Meeting should be harboured in the heart of the Republic itself (namely, the Saint Mark basin), was only a matter of consequence.